What is the Directors Compliance Programme? The Directors Compliance Programme (DCP) is an initiative by Accounting and Corporate Regulatory Authority (ACRA) in response to finding that finding many directors are unaware of what is statutorily required under the Companies Act and their responsibilities. The programme consists of one half-day session that covers topics which are essential and of direct relevance to directors of companies in Singapore. These include fiduciary and statutory duties, penalties for non-compliance, and the various administrative requirements under the Companies Act. Directors who attend and complete the DCP will be given an extension of 60 days to hold their AGMs, lay their accounts at the AGMs and file their annual returns without having to pay any late filing penalty. However, you may still face the financial penalties for your default(s) if you fail to make the rectifications necessary for compliance within the extended 60-day period. Select the session that you are able to attend and register before the deadline stipulated in the Letter. Please contact ACRA at dcp@activenetwork.com(if you have any questions or issues with regarding registration. 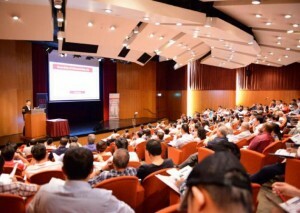 Pay the S$250 registration fee that includes Goods and Services Tax (GST), course materials and light refreshments. Note that the DCP does not qualify for Singapore Workforce Development Agency disbursement. Attend the session in person (representatives are not allowed) and make sure you arrive punctually – you will be deemed absent if you arrive more than an hour late from the registration time for the session you have selected. If they decide that your attendance is not required, then that is the end of the matter. If they decide otherwise, please refer to the steps under Option 1. Attendance at the DCP is not required under such circumstances. However, the striking off application must be made by the due date stipulated in the notification letter inviting the director to the DCP and subject to ACRA’s approval. More information on the striking off procedure can be found on ACRA’s website and you may contact ACRA at acra_ed_dcp@acra.gov.sg if you remain unsure of how your striking off application will impact the requirement for your attendance at the Directors Compliance Programme.